This set of Championship Series horseshoes by St. Pierre is the perfect addition to any backyard barbecue. 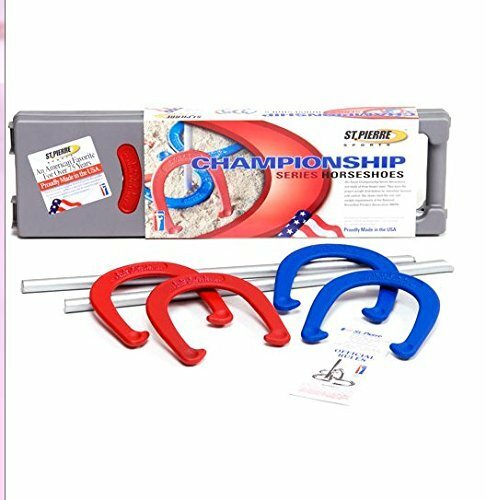 Family members of all ages can challenge one another in a rousing game of horseshoes with this set, which includes four steel horseshoes and two posts. The horseshoes are forged with balance and control in mind. These horseshoes are the size and weight set by the National Horseshoe Pitchers Association, so your family can play like the professionals do.